How Old Should I Be to Play Online Casino Games in Argentina? What Are the Best Online Casinos in Argentina? Welcome to Casino Online the definitive list of the best online casino sites available in Argentina in 2018! As in most Latin-American countries, the regulation over online casinos in Argentina is not too clear and is expected to go through some changes in during 2018 and 2019. The good news is that playing online casino games from Argentina is perfectly legal and you, as an Argentinian player, have all the rights to enjoy the fun of online gambling. The bad one, on the other hand, is that the law states that only the sites that have a national Argentinian casino license can be authorised to offer casino games to Argentinian players. This system doesn't really work. Most online casino sites did not apply for a gambling license in Argentina because they believe their international permits - Malta, Curaçao, Gibraltar, United Kingdom - should be enough to let them carry on with their operations. This is why the best online casinos in Argentina are the usual sites. 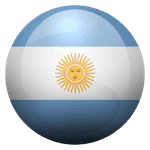 The majority of online casinos decided to continue to accept Argentinian players and offer them real money games despite the national gambling legislation. If you are planning to play online casino games for real money from Argentina, this page has everything you need. Not only we analyze the online casino Argentina laws, but we also give you all the most updated information about casino bonuses, platforms, and games to help you find the best online casino in Argentina. 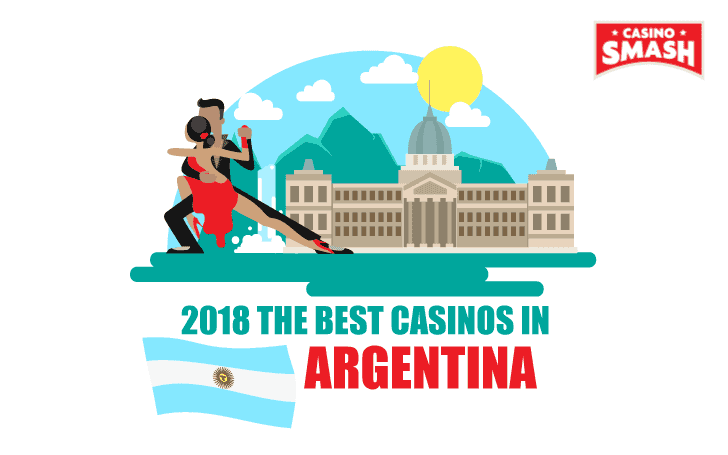 Check out the list of the top real money casinos available to Argentinian players, or scroll to the bottom of the list to know more about the state of the gambling industry in the country. You can play at an international casino that holds a license from the UK, Gibraltar, Curaçao, or Malta. You can also choose an unlicensed or a rogue casino if that's what you like. But, in that case, don't be surprised if your money will disappear from your account even before you launch your first game. All the casinos you find on this page, have a license and are allowed to offer gambling services to an international audience. Since the government of Argentina decided to regulate the online gambling industry through , they issued some licenses to allow operators to offer internet casino games to Argentinian players. Unfortunately for you, things didn't go according to plans. The only Argentine fully licensed online casinos are the casino sites of local brick-and-mortar gambling operators that were already operating in the country when the law passed. Since online gambling giants like PokerStars, 888casino, and BGO do not operate brick-and-mortar casinos in Argentina, they are not allowed to file for a license. Not all the Argentine online casinos are bad. They just don't stand the international competition regarding the games on offer and the features available. Whenever you find that licensed casinos don't have what you need, you can turn to the so-called 'Argentina-friendly' casino sites - the online casinos that offer real money games to players in Argentina. An important fact to keep in mind is that you do not risk anything if you play casinos from Argentina on an unlicensed site. 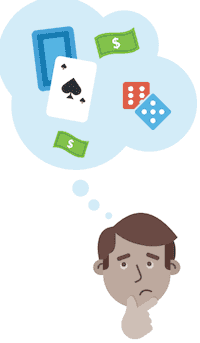 You can play real money games in ARS, and you can deposit and withdraw your funds freely. Just make sure you do so on one of the casinos in this list, not to risk to end on an unreliable or rogue room. Casino License: As I said, you are likely to play at an online casino that doesn't hold an Argentinian license. It doesn't mean you should play at a site that doesn't have any license at all! Every time you try a new site to play for real money, you need to be sure the company that runs it holds some form of an international gambling license. How to Find the Licensing Info: This one is easy. Most sites have all the licensing information in the footer of their web pages. Some, hide that in the About Us or in the Terms and Conditions pages. Here at CasinoSmash we have done the work for you, and we list only reliable casino sites that have been granted international gambling licenses by the strictest gambling authorities in the world. The casinos that don't have a license are dangerous sites where you risk to lose the money you deposit and all your data. 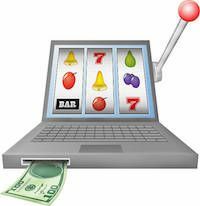 The best way to play some Argentine free slots is to pick a legit and licensed site for your games. The Casino Games on The Platform: We all like different casino games, and the favorite site of a competitive slots player can't be the same of a live roulette player. The reviews you find on CasinoSmash give you a full overview of the weaknesses and the strengths of each online casino Argentina and show you which site is better for each game. Also, world-leading brands like Playtech, NetEnt, Novomatic, Aristocrat, and Microgaming are a sign you can trust the site that offers you to play online casino games from Argentina, even if they don't have a local license. Not only these top gambling companies develop the best casino games you'll ever play, but they are also very picky on their partners, and they would never associate their name to those of known scammers or fraudsters. Support to the Players: Sooner or later, you will have a question about your account. Whether it's about the next bonus in line, some unclear wagering requirements, or the withdrawal times, it's important you play at a casino with an efficient customer support. Our team of reviewers at CasinoSmash tested the customer support of all the best online casinos in Argentina on a variety of issues. All the casinos that didn't pass the test with a satisfactory result have not been included in the list on this page. The details of our tests and the different ways to get in touch with the operators are available in our reviews. Sign Up Bonuses: Most of the bonuses you find on our sites are exclusive promotions available only to our players. We negotiate everything with the online casinos in Argentina to make sure we can always offer nothing but the best bonuses. 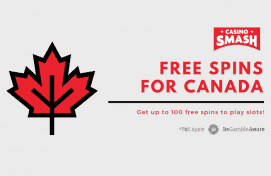 Some of the best paying online casino in Argentina offer you free spins or a no deposit bonus to try their real money games risk-free. Others have generous packages on your deposit with match bonuses that can reach up to 300% the money you put in. All the casinos run continuous promotions to give even more free spins and bonus money to the players in Argentina. Localization of the Casinos: The top 10 casinos in Argentina operate in different languages, and most of them include a Spanish version of their software. Argentinian casino players who don't want to play in English always have an alternative. We look for this because we know it's important you know everything about the site you play at, and you never have to face any language difficulties. Deposit and Withdrawals: Whenever you play casino games for real money, you need to be sure you can deposit and withdrawal money fast and with the payment method you prefer. Whether you want to play casino games from Argentina via Paypal, Skrill, or credit card, we gathered all the information you need about deposits and withdrawals, and we included them in the review published on our site. Here you find all the answers to the most frequently asked questions about online gambling and regulations in Argentina. If you don't find an answer to your question in the list below, you can contact us through this page, or you can start a chat with a casino player support service. 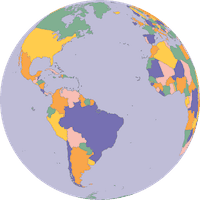 As I mentioned already on other parts of this page, online gambling is legal in Argentina as the country's gambling law allows land-based casinos to offer online games to Argentine citizens. It's legal to play all sorts of casino games, including penny slots, classic slots, new video slots, table games, live dealer games, and video poker. The legal age to gamble online in Argentina is 18. Like it happens on land-based casinos, you need to be at least 18-year old to open an account at an online casino that offers real money games in Argentina. Scroll all the way back up and check the name of the first operator in this list: that's the best online casino in Argentina today. We update this list every month, so the name of the top casino site can change. Every time a site adds new games, implement new features, or launch new bonuses, they get the chance to climb the rankings and become Argentina's best casino available online.